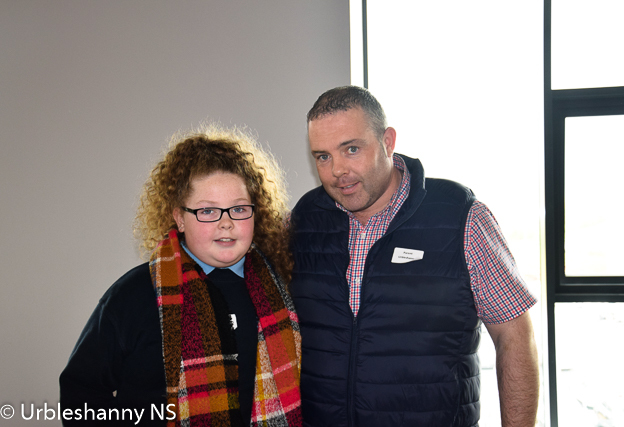 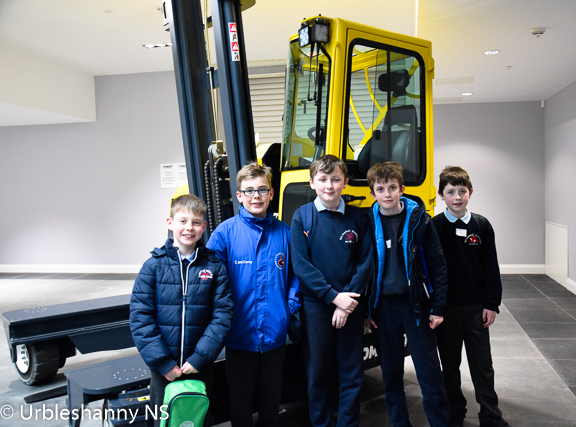 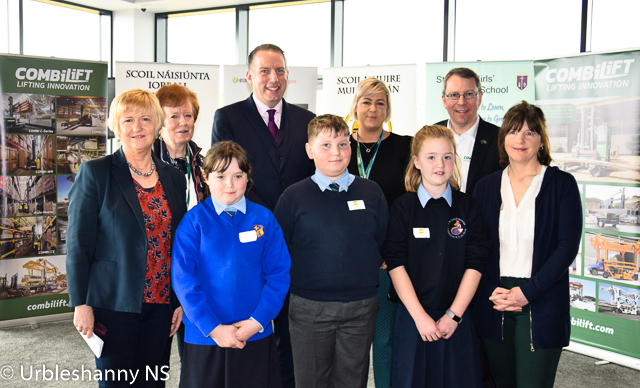 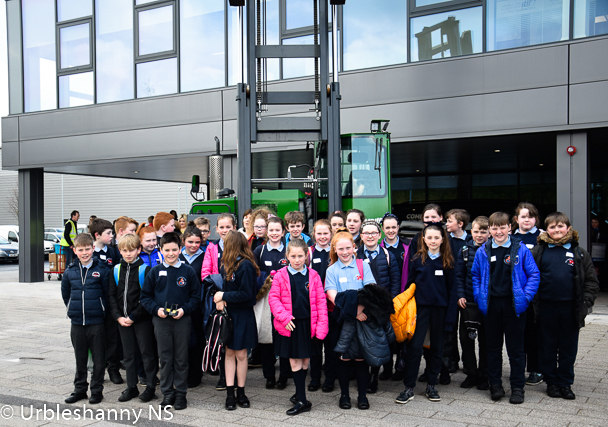 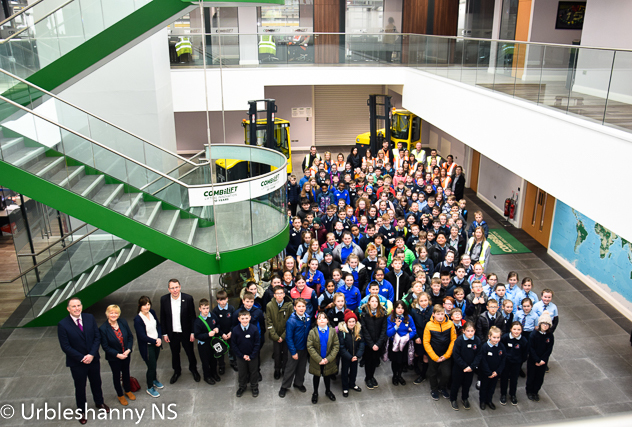 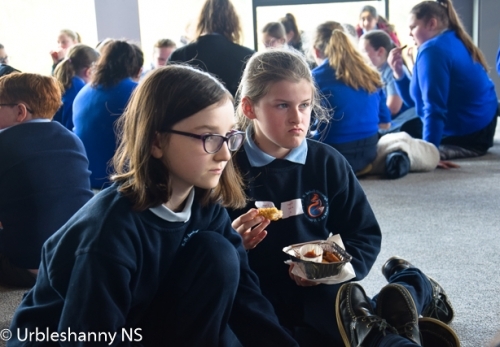 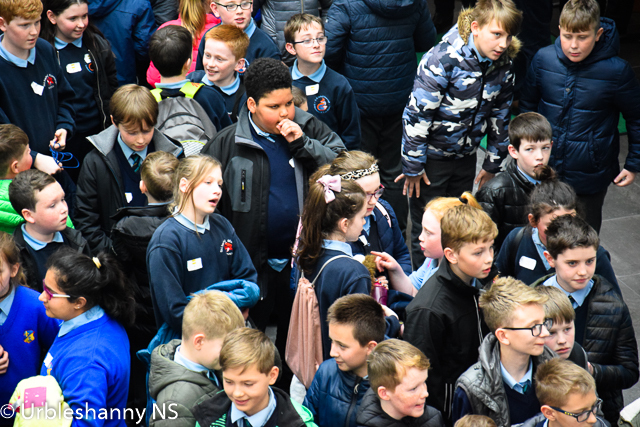 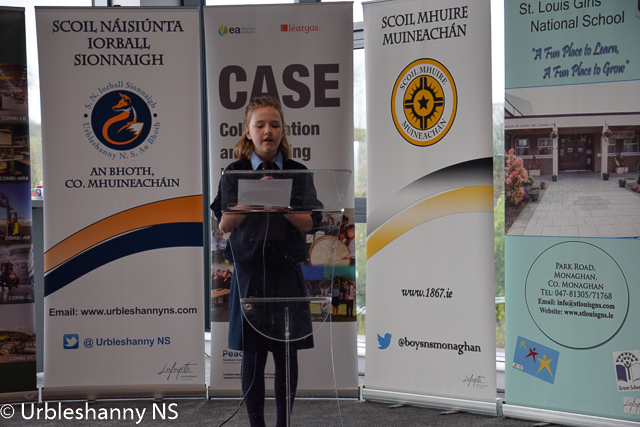 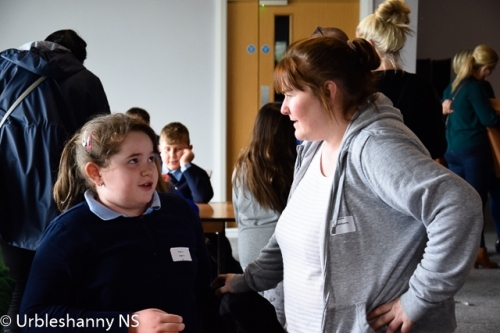 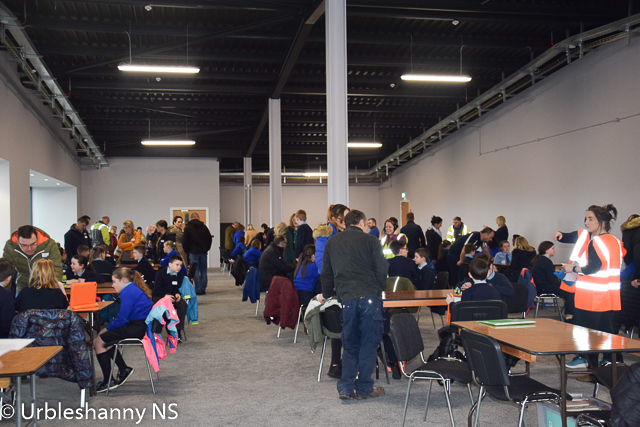 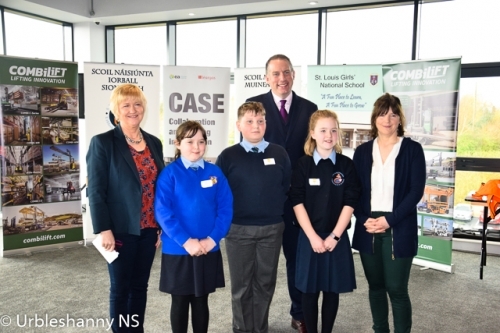 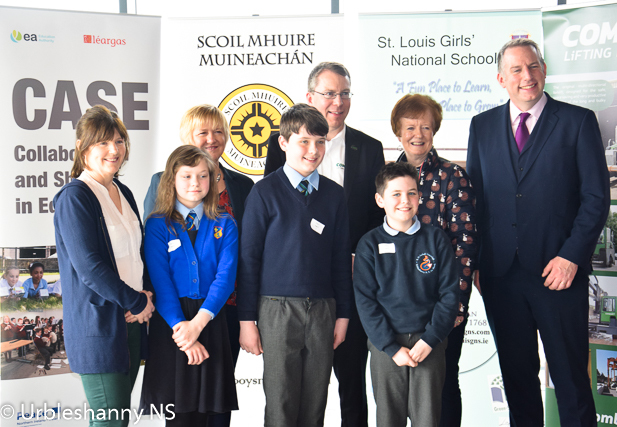 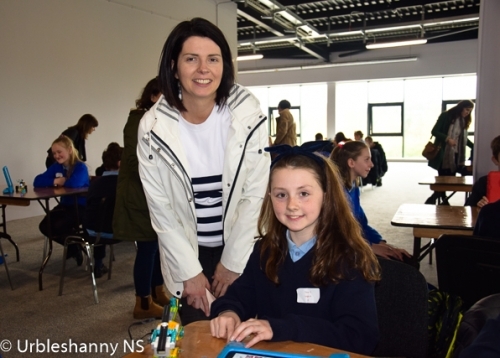 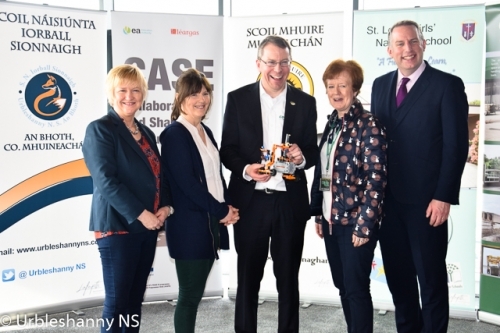 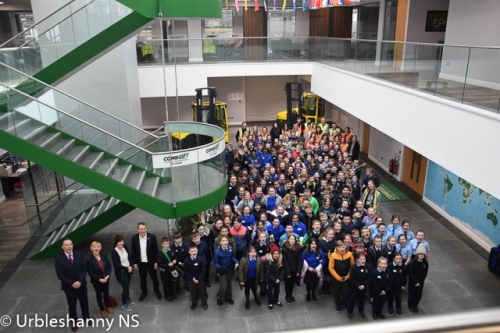 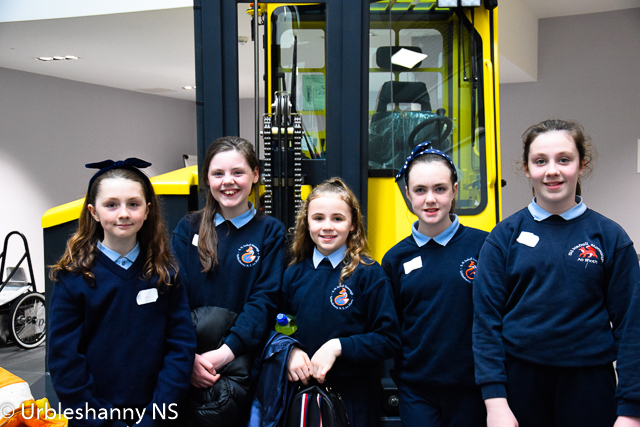 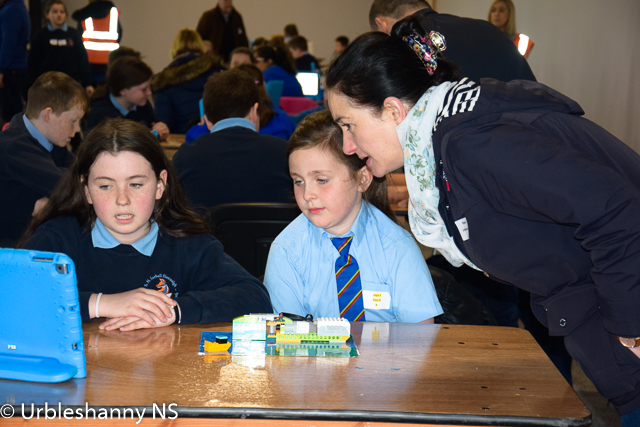 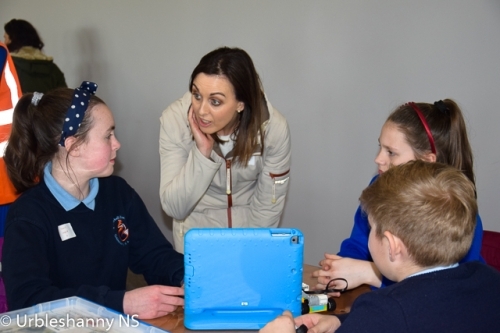 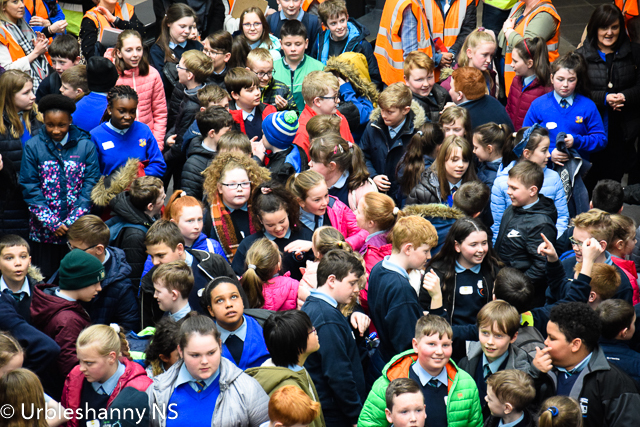 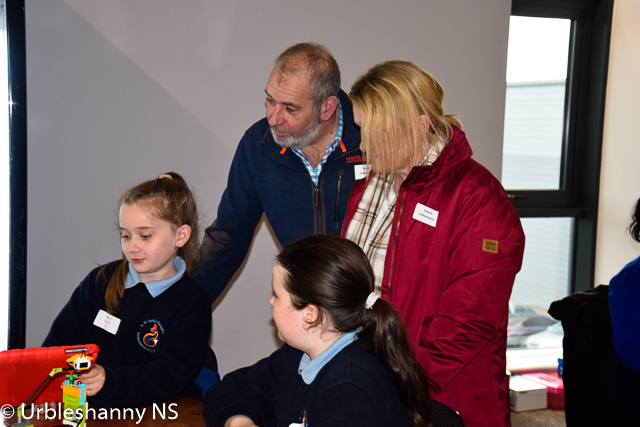 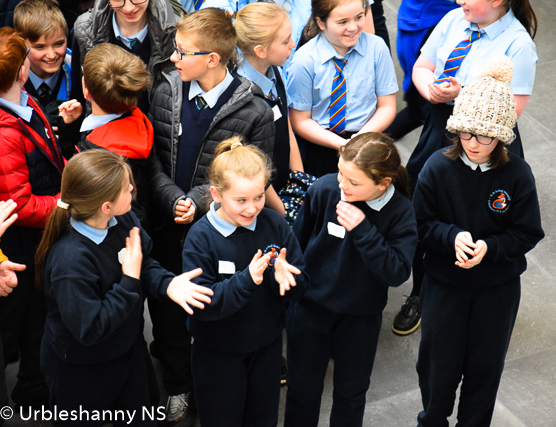 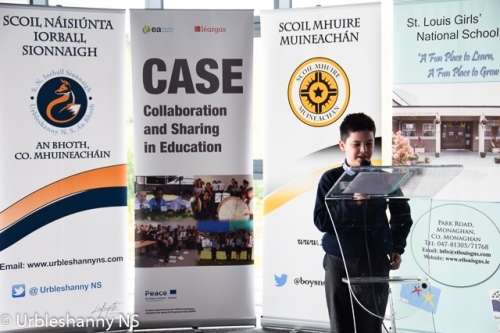 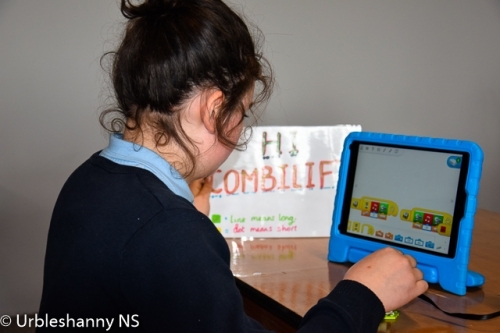 Thursday, the 4th of April saw the finale of the CASE Project undertaken by 180 pupils from St Mary’s BNS and St Louis Girls NS, Monaghan town and Urbleshanny NS, Scotstown. The showcase was superbly facilitated by Combilift in their new state of the art global headquarters and manufacturing facility in Monaghan. 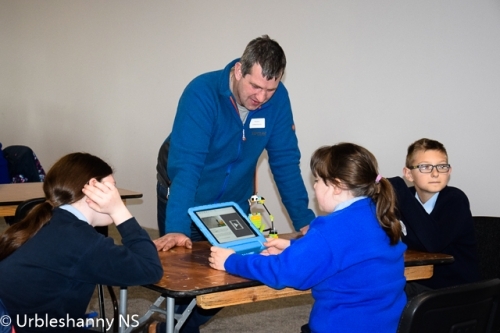 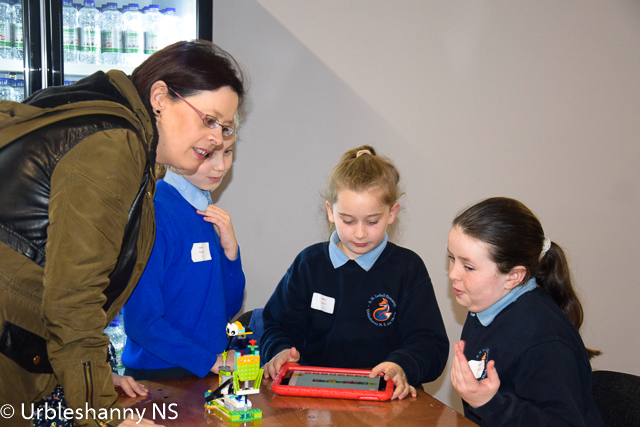 The LEGOWeDo Collaboration initiative introduced the pupils to robotics. 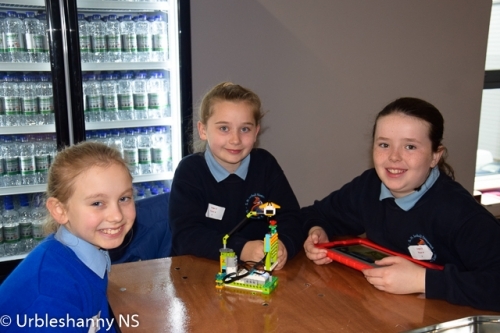 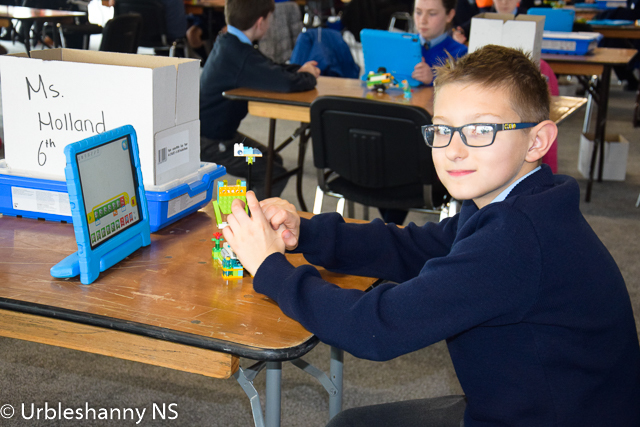 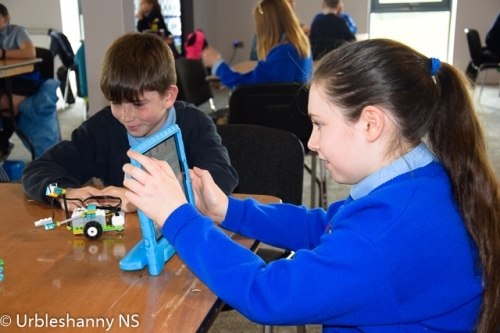 Pupils worked collaboratively to create working Lego models featuring motors and sensors. They programmed their models with easy to use coding software. 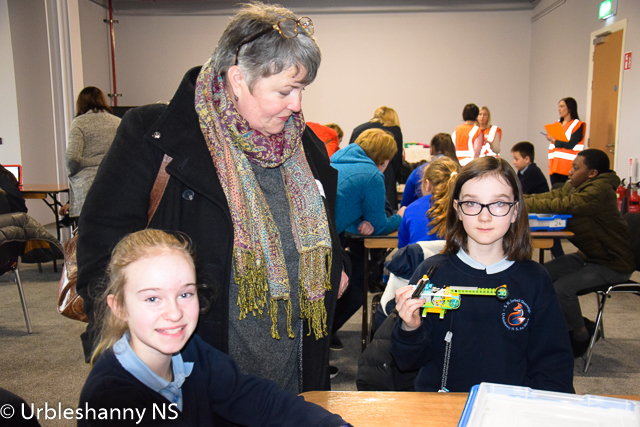 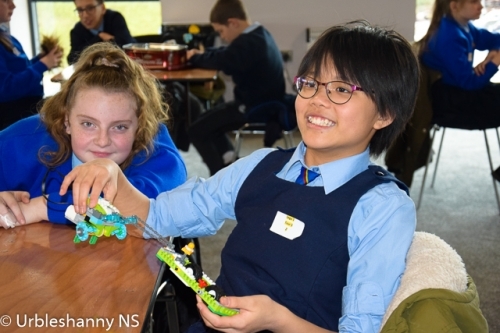 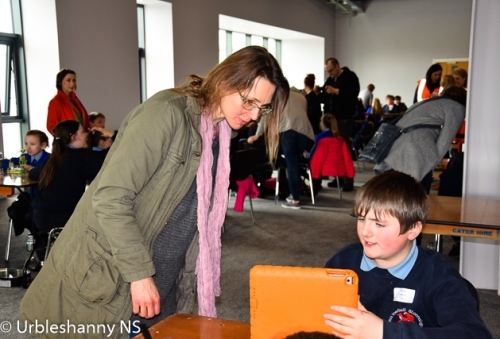 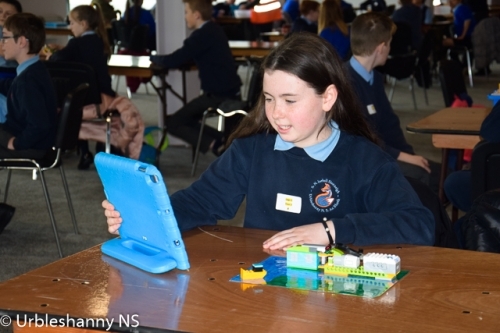 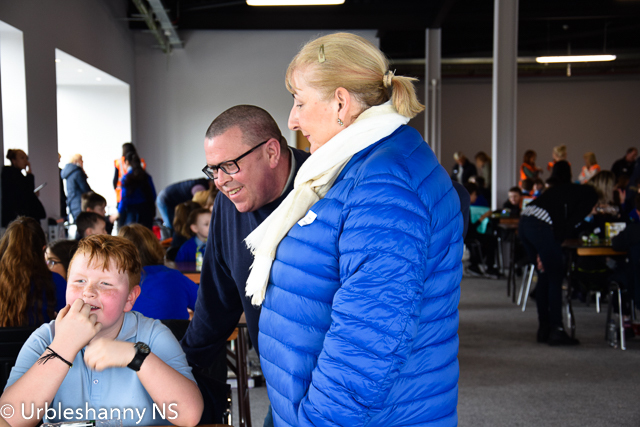 The projects were theme-based, enabling pupils to develop their skills in science, technology, engineering, and mathematics, as well as language and literacy. 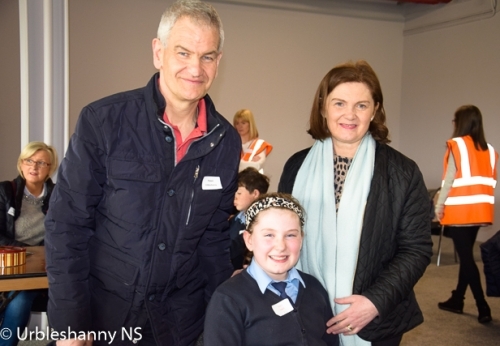 Parents were invited to come along on the day and witness the culmination of the partnership between children, who before this project last year, had never met before. 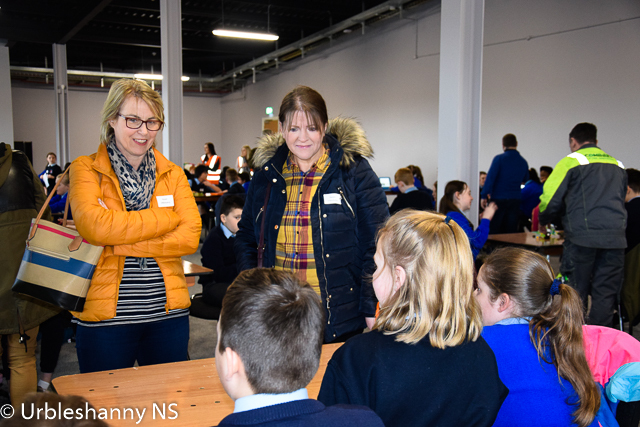 Marie Heraughty from Leargas addressed the children, their parents and their teachers and explained that funding from PEACE IV has brought these children together allowing the development of teamwork and friendship. 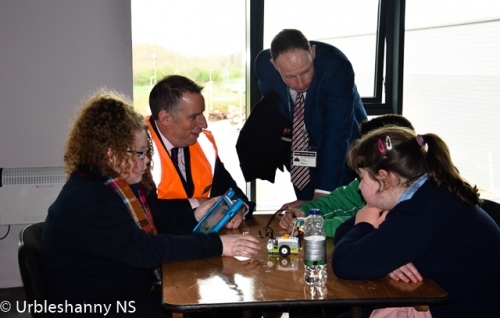 Martin McVicar, CEO of Combilift was impressed with the ability of the groups to use coding. 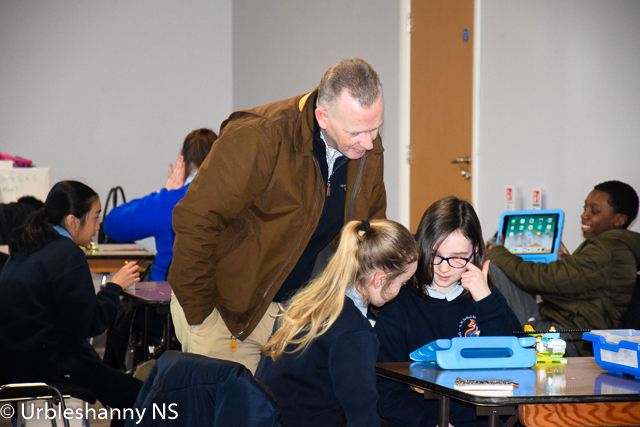 He noted the number of three children in each group as a very effective way to develop brainstorming while one within the group must be leader, teamwork brings it all together. 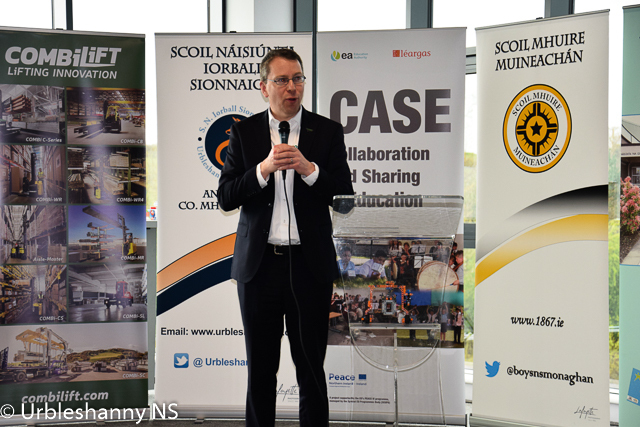 Martin stressed that problems are not solved by one person but by a team and collaboration is key to the result. 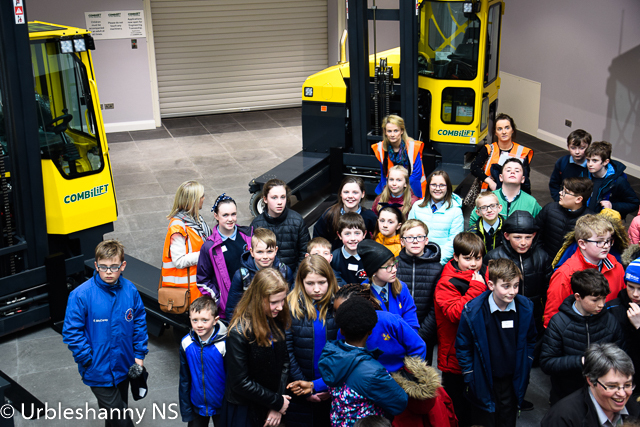 He also remarked that for the future success of Combilift and other businesses in Monaghan we rely on the young in our county. 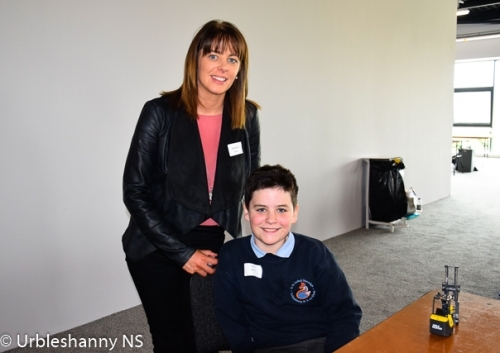 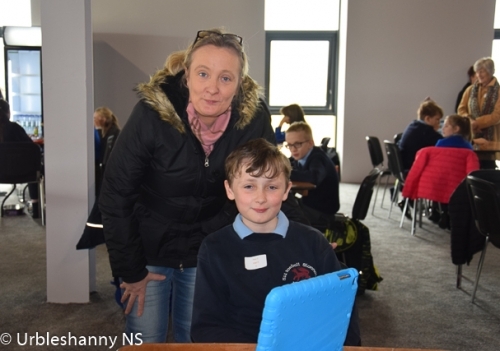 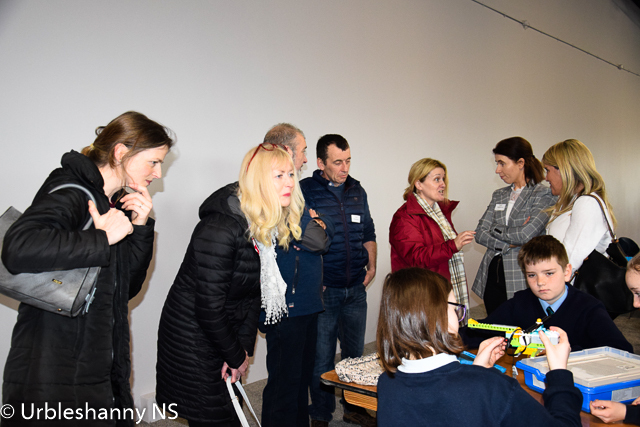 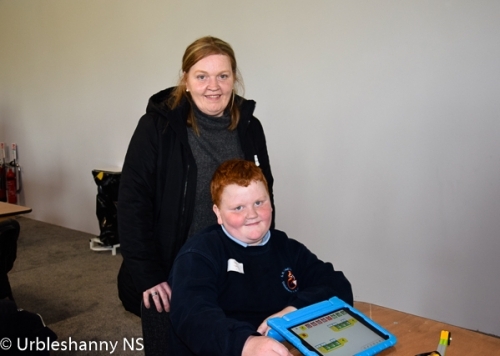 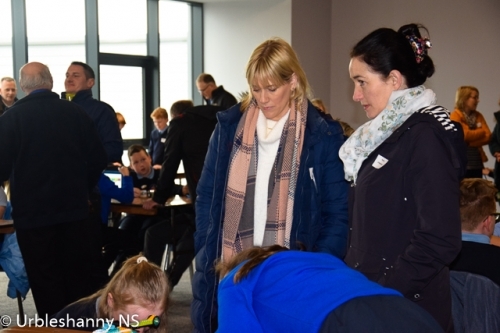 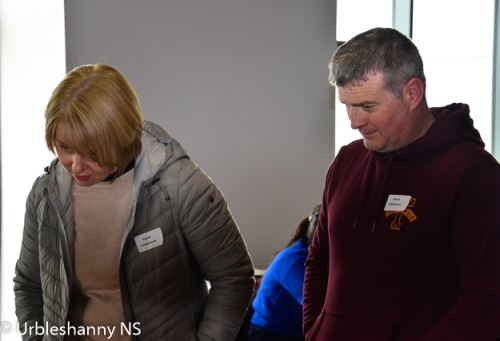 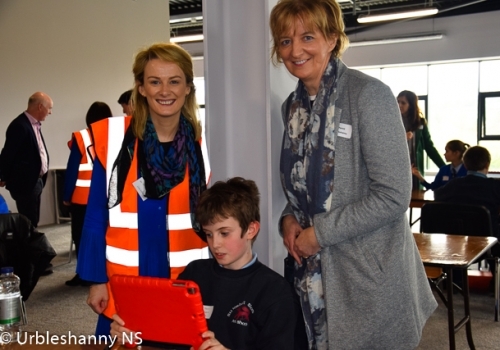 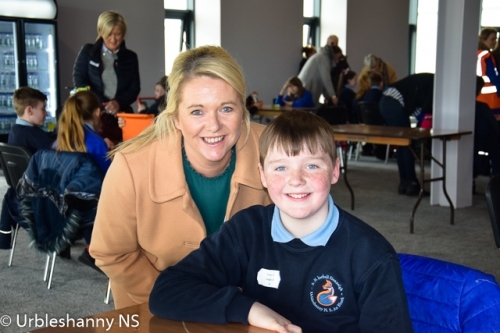 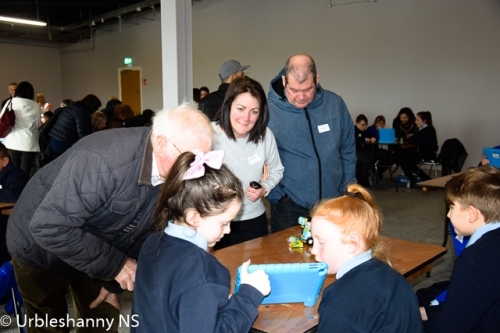 Stephanie Kenny-Quinn, Development Officer with the Education Authority and David McCague, Director of Monaghan Education Centre was also in attendance at the showcase of the CASE Project in Combilift.